Use the size and position of the cracks in your driveway to diagnose its problems and figure out if you'll be able to DIY a fix. Q: We just bought a new house and we love it, but the driveway has a few cracks and I’d really like to fix them. Is repairing a cracked driveway a do-it-yourself job, or will I need to hire a contractor? A: While concrete is certainly one of the most durable construction materials around, over time it can develop cracks and other types of problems. For the most part, fixing driveway cracks is a relatively simple do-it-yourself project. To figure out how to proceed, first identify the type of crack you’re dealing with and determine what caused it, then move ahead with the following advice from the concrete experts at Quikrete. If narrow cosmetic cracks are the problem, you can restore the look of your driveway with a resurfacing product. 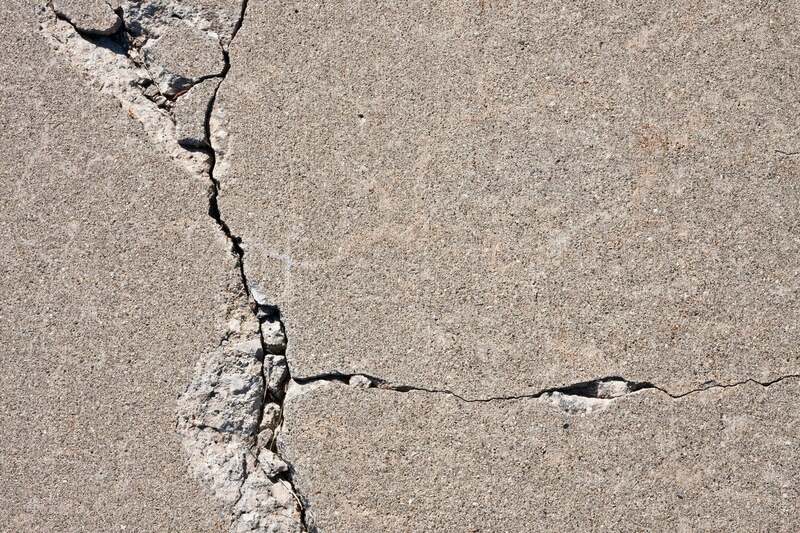 Very fine surface cracks, sometimes called “crazing,” are an indication that the surface of the concrete dried too quickly when it was poured. While unsightly, these cracks in a concrete driveway do not indicate underlying structural problems. As long as the rest of your driveway is sound (no heaving, sinking, or crumbling), you can replace those tiny cracks with a smooth concrete surface by applying a high-quality resurfacing product, such as Quikrete’s Concrete Resurfacer. This cement-based product contains polymer modifiers and additives that are designed to form a durable and permanent bond with the existing concrete. While applying Concrete Resurfacer doesn’t require the help of a pro, it does require attention to detail. The existing concrete must first be meticulously cleaned with a high-power pressure washer. Depending on the size of the driveway, you’ll want to apply the resurfacer with a long-handled squeegee to small, workable sections, one at a time. This helps to ensure that you’ll be able to apply the product, smooth it out, and add a brushed effect to the surface before it dries. Check out this slab-resurfacing video from the Quikrete team for complete instructions. Cracks up to ¼ inch in width can be filled with sealant. Small cracks here and there that are narrower than ¼ inch are most likely the result of shrinkage as the driveway cured. Like spider web cracks, these small cracks do not indicate a larger problem, and they often show up soon after the concrete is poured. 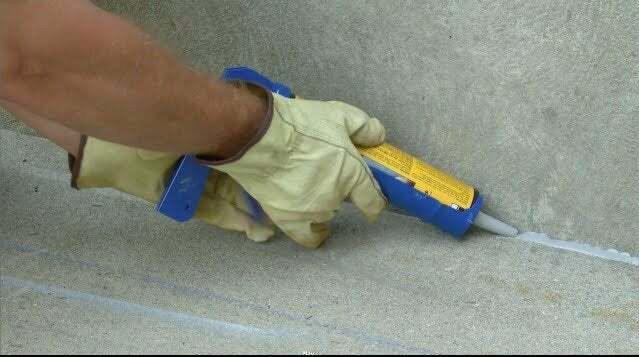 Cracks of this nature may never get any larger, but water can seep into them, freeze, and expand, causing the cracks to widen, so it’s a good idea to seal them with the flexible Advanced Polymer Concrete Crack Sealant from Quikrete. 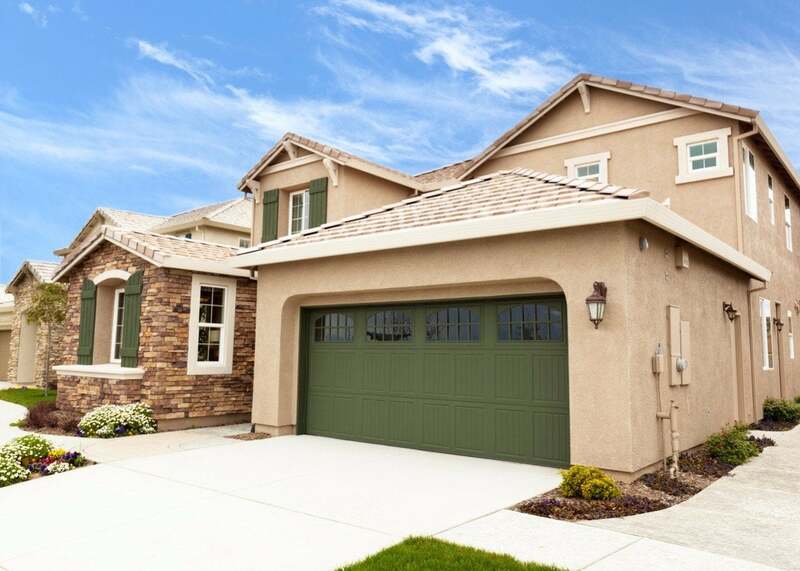 Sealing can prevent bigger problems down the line, and the non-sag consistency and matte gray color of Advanced Polymer Concrete Crack Sealant will even out the surface and is textured to blend into the existing driveway, disguising the fact that there ever was a crack. Flexibility is key to a good sealant. Because concrete expands and contracts slightly with temperature changes, the sealant needs enough give to not pull away from the edges of the crack. Before you apply the sealant, you’ll need to do a little prep work, including widening the crack with a hammer and chisel in spots where it’s less than ¼ inch wide and brushing away any crumbling bits of debris. After that, filling small cracks is an easy DIY project, but for the best results, watch this concrete crack repair video before you start. Cracks along the edge of the driveway that are accompanied by crumbling can often be repaired. This type of crack is typically caused by a heavy vehicle driving along the edge of the driveway and putting pressure on the outside edge, the weakest spot. Usually limited to a small area, these cracks are good candidates for repairing with Quikrete’s Quick-Setting Cement mixed with Acrylic Fortifier. By thoroughly cleaning the cracked or crumbled edge, and then mixing and applying the two products as demonstrated in this instructional video, you can restore the edge of your driveway to its original good looks. In cases where entire corners of a concrete driveway have broken off, using a structural repair material like Quikrete Polymer Modified Structural Repair that is easily sculpted and shaped to reform the edge is great choice. Separated control joints can be filled to give the appearance of new continuous slab. When large slabs of concrete are poured, the contractor either forms or cuts joints every eight to 10 feet, with the goal of limiting any shrinkage cracks caused during the curing process or by future slab movement. In this way, cracking is hidden deep within the joints so the smooth surface of the driveway is maintained. So, if you notice cracking along a control joint, don’t worry—that’s just the joint serving its purpose. Unfortunately, a control joint may widen and separate over time, creating a gap that detracts from the overall look of your driveway—and it could get worse. If left alone, the crack can fill with debris, and vegetation can start to grow. You can minimize the appearance of separated control joints and keep the gunk out by filling widened joints with Quikrete’s Advanced Polymer Self-Leveling Sealant. Even after it’s filled, the joint will still serve to keep the rest of the driveway from cracking caused by ground movement. If the joint is ½ inch or wider, you’ll want to insert a foam Backer Rod into the crack first to prevent the sealant from running down and out of the crack. Be sure to clean the crack thoroughly before you apply the sealant, using a standard caulking gun. Find out how in this instructional video. Wide, jagged cracks accompanied by heaving or settling may require full slab replacement. What you want to watch for are cracks that are wider than one inch and are uneven, meaning they’re not located in a control joint but rather in the plane of the driveway. These could indicate an underlying structural problem, especially if the surface of the driveway is higher on one side of the crack than the other. While this type of problem is more common with older driveways than with newer ones, it’s an indication that the driveway, or at at least the section with the cracks, should be replaced. If the damage is extensive, you’ll probably want to call in a pro to do the heavy lifting, but you might try replacing a portion of the slab yourself if the damage is limited to a small section of the driveway. Pouring a concrete slab takes a little more work: You’ll have to break out the damaged concrete, construct forms for the new slab, and add a base layer of compacted gravel before you can pour the new slab. Consider recruiting some additional workers because, once you start pouring the concrete, you’ll need to continue until the entire slab is poured. Though the project may sound intimidating, this helpful slab-pouring video from Quikrete will tell you everything you need to know. And, if you start with a good-quality concrete mix like Quikrete’s Crack Resistant Concrete Mix, you’ll ensure that your new section of driveway will be as strong as it can be and will stand the test of time.